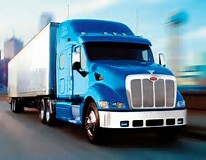 We are please to offer to the transportation industry a great driver management compliance program. We know managing driver compliance can be tedious, difficult, and time consuming. ࢚ Comprehensive Course Library ࢚ Digital Forms ࢚ Integrated Audit Tool ࢚ Equipment Inventory Management ࢚ Content Delivery ࢚ Classroom Training Calendar ࢚ Training Record Management System ࢚ Online Assessments ࢚ Robust Training Matrix ࢚ Equipment Maintenance Tracking ࢚ Virtual Proctoring ࢚ And much more! Simplify your work with our revolutionary online driver compliance software. Take control of your classroom-based training by managing it all online with our powerful classroom calendar tool. Quickly and easily: Taking care of your company’s equipment should be a top priority, but it can be challenging to ensure these important assets are inspected and maintained as often as they should. Our equipment maintenance feature has a built-in scheduler that can be set to automatically send digital inspection and maintenance forms to key personnel to help ensure your investment is protected. Whether you need these forms sent based on the passage of a predetermined amount of time or achievement of a specific metric, such as hours of operation or mileage, our equipment maintenance feature can handle the job. These automated processes help ensure necessary equipment preshift inspections, monthly and annual maintenance, and all other required checks are completed on-time, every time. In situations where an inspection reveals an issue, the robust issue tracking and notification capabilities kick in to open a ticket and alert key personnel so that necessary actions can be quickly taken to fix the equipment and get it back into operation as soon as possible. Drowning under a sea of paper-based performance reviews, competency assessments, inspection sheets, policy sign-off documents, hazard identification checklists, and audit forms? Stop the tidal wave! Use our digital form feature to recreate any paper-based form to allow it to be completed online using a computer, tablet, or smartphone. Using our intuitive drag-and-drop technology, you can quickly add checkboxes, checklists, drop-down lists, Likert scales, text, images, videos, signature and approval fields, page breaks, charts, and more to create a multitude of customized company forms. The possibilities are endless. Keeping track of employee training has never been easier. With our integrated training record management system, you can upload employee training records, including a copy of each certificate of completion, regardless of the training provider. Once uploaded, automatic expiry alerts can be sent to employees, supervisors, and managers to help ensure your employees’ training is always kept up-to-date. With your employees’ records securely stored in our system, you can instantly generate reports on training efforts by employee, total training hours, expiring courses, and more. Xi Safety Inc is working provincial economic development and culture divisions by making available a variety of HESS services. 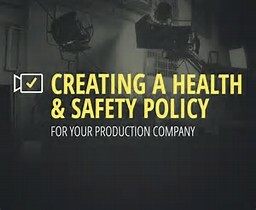 Xi Safety Inc has programs available to ensure your next production starts with a plan and ends successfully. We will work with all parties involved from sub contractors, craft trades and production company management to ensure your production is completed in the safest methods available. Call Xi Safety Inc today, we can help. Recently we were asked about providing services for an event to be held in the community. 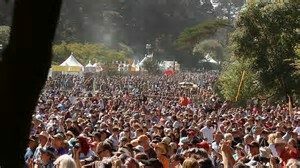 Event Safety Management is just as important as any project safety management plan and even more so, because in addition to having to consider and plan around the actual event performers, you also have to factor in public safety as well. 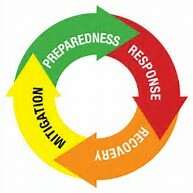 We like to think that risk management can go one step further to actually be risk prevention planning. 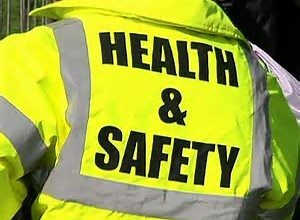 At Xi Safety we believe that event safety management is simply more than putting a few people in security uniforms and possibly adding in a requirement of first aid. 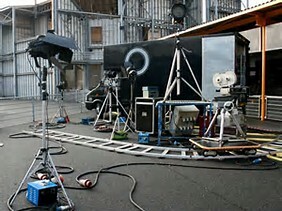 Many of us have seen in the media actual live footage of outdoor fairs or concerts where disaster has struck, whether its been a stage collapse, rigging failures, severe weather or other factors that can affect for example, movie productions or outdoor venues. 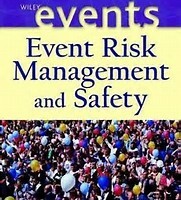 But to stage a successful event, it all has to start with a well thought out and documented Event Safety Management Plan. At Xi Safety Inc we’ve developed an excellent blue print that takes into account how local OHS Acts, Regulations, and assorted codes not only provide the frame work for events to be safely staged, but also that much needed road map that takes us through the 30 plus special considerations that are required to go into successful event planning to allow events to be staged without inci dent. 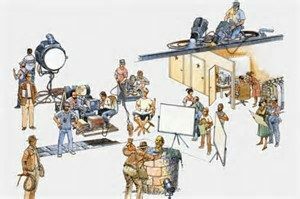 If your organization or company requires professional event safety management, including film and commercial productions, concerts and other large scale events, Xi Safety Inc and Event Safety Management come together seamlessly with your idea and our expertise. From Event Safety planning to your medical, security, health and safety needs at your facility, Xi Safety Inc has you covered. 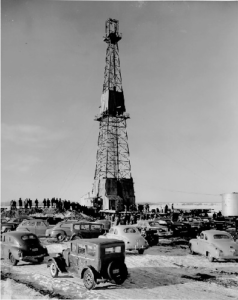 I want to tell you a true pipelining story about old Bill Daniels and Scruffy Smith, The Blind Safety Guy and his Two Legged, Seeing-Eye Dog, Precious. It’s a Story about teamwork, dedication and communication. There once was this fellow who was an experienced Safety Guy, Scruffy Smith and over the years he went totally blind from macular degeneration and could no longer perform his regular inspection duties. Not wanting to give up the career he loved, he contacted the National Institute for the Blind and inquired about a seeing-eye dog. After months of training, the two rapidly developed a close bond and were a great team. Scruffy had trained the dog to understand some simple voice commands and the two could communicate flawlessly. With help from friends he got back to his former employer. After talking to the company they agreed to see him and the dog and see if all of this could work out. 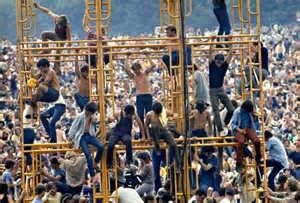 Being a fairly progressive firm they rounded up the job stewards to see what they could do to help. The mechanics supplied an axle and wheels, the pipe engineers and survey designed the cart, the bending crew bent the pipe into a frame, the tie in/lowering in guys aligned all the pieces together and the pipe gang drew straws to see who was going to weld it all together, Xray and Quality boys ensured the unit would hold together on the rough terrain, the sandblaster took the finish to bare metal and the coaters coated and painted it all, the ditch and grade crew made sure there were clear paths so Scruffy and Precious could get around on the Spread, and stringing built ramped skid piles so the two could get up on them and view areas on the Right of Way, the pipe haulers got involved and moved Scruffy’s unit to the next spot he wanted to inspect, the carpenters/laborers fashioned a lightweight brace from some tubing, and made a padded harness, the electricians built a small flashing beacon. Even the test crew got in on the act and built a plug, cause the old dog had bad gas. Even management got involved and had a set of boots and a pair of doggles made up. The dog had a uncanny knack of noticing job site hazards and would bark once when he saw something. Scruffy, the Blind Safety Guy would rattle off a list of voice commands and when they matched the infraction, the dog would bark three times. One day, they were out walking the spread, Precious leading Scruffy who was holding the reins and the dog barked incessantly. 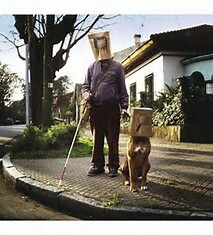 “What is it Scruffy?”, Blind Safety Guy asked. The dog was barking frantically now. The Blind Safety Guy rattled off a list of commands, and Precious barked three times at the “Fall Protection Signal” Scruffy, the Blind Safety signaled again “is he wearing any?” and Precious barked three times to signal YES! Scruffy, The Blind Safety Guy signaled, “Is he tied off/” Precious, the two legged seeing eyed dog barked twice to indicate NO! “Did he fall?’ Scruffy, the Blind Safety Guy signaled. Precious, the two legged seeing eye dog barked three times, indicating YES! “Oh my” thought Scruffy, the Blind Safety Guy as he reached for his radio button to call the foreman who asked how his man was doing. Precious, the two legged seeing eye dog barked……..Ruff. The moral to the story? No matter what challenges and obstacles we are faced with on this project, a collaborative approach to safety, teamwork and clear communications will help us overcome all of them. Remember your co-worker….we won’t walk by, we won’t wait until it is too late. Xi Safety Inc follows up on Fluor Corporation, a global engineering, procurement, fabrication, construction and maintenance company, that it has been awarded a contract by JGC America, Inc. (JGC) for the Woodfibre LNG Project. The two organizations were previously awarded EPCM services to Chevron’s LNG project in Kitimat which has been ultimately delayed. While in Kitimat, members of Xi Safety, Kitselas and Spirit Strategies attended the transition town hall meeting whereby the consortium transitioned their team from the previous EPCM. Xi Safety continues working to providing services to Woodfibre LNG in the upcoming future for site services. Woodfibre LNG Limited is proposing to build a modestly-sized liquefied natural gas (LNG) processing and export facility at the former Woodfibre pulp mill site, about seven kilometres southwest of Squamish, British Columbia. Woodfibre LNG is licenced to export about 2.1 million tonnes of LNG per year for 25 years, which means should our project go ahead, three to four times per month an LNG carrier will travel through well-established shipping lanes to the Woodfibre LNG terminal. Each carrier will travel at 8 to 10 knots in Howe Sound, be accompanied by at least three tugboats, at least one of which will be tethered to the carrier, and have two BC Coast Pilots on board, who are experts on BC’s coast. When Woodfibre LNG Limited’s ownership was looking for the right location to build and operate a modestly sized LNG processing and export terminal in British Columbia, the Woodfibre site on the shores of Howe Sound was by far the best fit. The brownfield site was home to pulp mill operations for 100 years, is zoned industrial, has a deep water port on a waterway that for decades has been used for commercial shipping, and has access to electricity from BC Hydro and a FortisBC natural gas pipeline. Our good friends over at SafetyTek have got some interesting things going on with their company. If you are new to the paperless HSE management software systems, these guys have it going. Check them out, when you’re talk with Craig, tell ’em Xi sent you. In the construction industry, everything has evolved due to advances in technology. As those advancements are made, daily tasks on a construction site become much simpler. 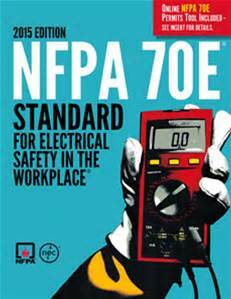 So why is it that safety has not made that transition? At SafetyTek, we have come up with a solution. Combining our 35 years of construction experience and proficiency in advanced technology, we have developed a way for onsite workers to have an engaging and efficient way of meeting OHS compliance on a daily basis. At the same time, management at every level can have a clear and concise real-time view of all safety related documents at the touch of a button. At SafetyTek, our goal is to reduce or eliminate your safety paperwork. We have built an intuitive, easy-to-use software package that aligns with your current safety plan. Eliminating paperwork processes gives you more time, and we value your time. 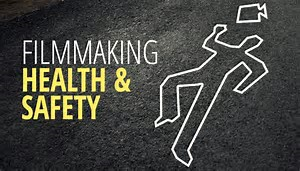 We want to see you spending time on activities that build your company’s Safety Culture such as creating Safety Initiatives to prevent incidents, rather than facilitate a reactionary environment where nothing is done until the unimaginable happens. We want to give you the time needed to create positive relationships with your employees. How can we do that? Let us show you…..